Below you fill find all funeral homes and cemeteries in or near Carrollton. 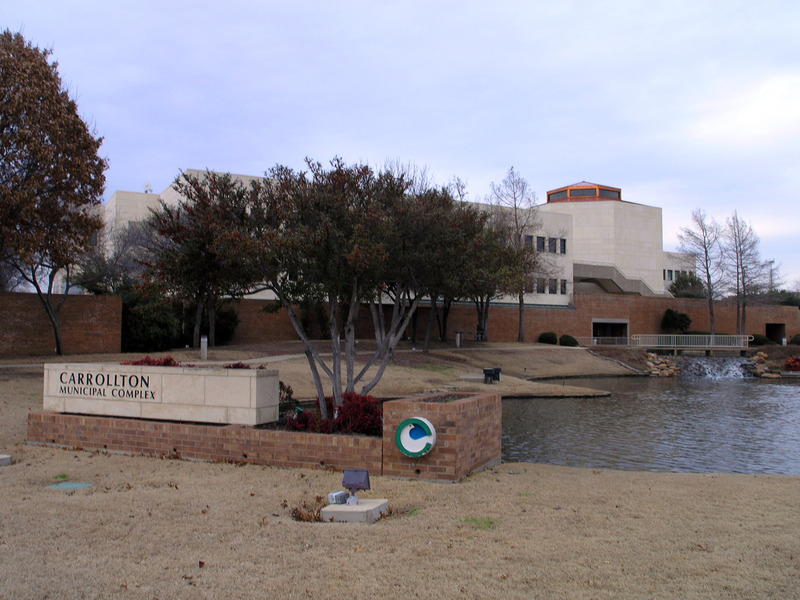 Carrollton is also known as: Denton County / Carrollton city. Their current mayor is Mayor Doug Hrbacek. Zip codes in the city: 75006, 75007, 75010, 75011. Carrollton has been featured in films like: Br�no (2009). Some of the notable people born here have been: Noell Coet (actor), Travis Wilson (american football player), Jeremy Beal (american football player), and Anthony Ampaipitakwong (football player). Carrollton is a city in Denton County, Dallas County and Collin County, Texas. As of the 2010 census, its population was 119,097 making it the twenty-third most populous city in Texas. It is a suburb of Dallas and in 2006 was named to America's "Top 100 Places to Live" by Relocate America. Also in 2006, it was selected as the 19th best place to live in the United States by Money magazine. In 2008 it was named by Money magazine the 15th best place to live among small cities. It was written on January 27th, 2019 that Doyce Eileen Waters passed on in Carrollton, Texas. Waters was 87 years old. Send flowers to express your sorrow and honor Doyce Eileen's life. It was revealed on November 4th, 2018 that Ann Herring (Owens) passed on in Carrollton, Texas. Ms. Herring was 80 years old and was born in Lake City, AR. Send flowers to express your sympathy and honor Ann's life. It was revealed on July 25th, 2018 that John Boss Brokens passed on in Carrollton, Texas. Brokens was 90 years old. Send flowers to share your condolences and honor John Boss's life. It was disclosed by Graham Leader on July 10th, 2018 that Mona Laverne Grimes (Delong) died in Carrollton, Texas. Ms. Grimes was 85 years old. Send flowers to share your condolences and honor Mona Laverne's life. It was revealed on June 21st, 2018 that Linda Steger (Maschmeyer) passed on in Carrollton, Texas. Ms. Steger was 73 years old and was born in Cincinnati, OH. Send flowers to express your sympathy and honor Linda's life. It was revealed on March 13th, 2018 that Betty Heard Mullins (Heard) passed away in Carrollton, Texas. Ms. Mullins was 86 years old and was born in Wildcat, AR. Send flowers to share your condolences and honor Betty Heard's life. It was revealed on February 27th, 2018 that Joan Hadjigiannis (Matthews) passed away in Carrollton, Texas. Ms. Hadjigiannis was 74 years old and was born in Philadelphia, PA. Send flowers to express your sympathy and honor Joan's life. It was revealed on June 24th, 2017 that William Weibel passed away in Carrollton, Texas. Weibel was 74 years old. Send flowers to share your condolences and honor William's life. It was reported by Texarkana Gazette on February 20th, 2017 that Robert H Purtle perished in Carrollton, Texas. Purtle was 86 years old. Send flowers to express your sympathy and honor Robert H's life. It was written on February 11th, 2017 that Rebecca Matherne passed on in Carrollton, Texas. Send flowers to express your sympathy and honor Rebecca's life. Making funeral preparations can be stressful. iMortuary's goal is to make this process easier by providing listings of the funeral providers available in Carrollton. Browse below to send funeral flowers to a service, or to locate the cemeteries, funeral homes, and cremation providers that suit your needs. Carrollton was named such by the European settlers in the 1840's that hailed from the Carrollton in Illinois. The settlers typically farmed and raised sheep and cattle. One story about an early settler who was scouting a location for his family claimed that when he reached the area of Carrollton the soil was so rich that he took a handful back to his family to prove how perfect it would be for farming. The official website for the city of Carrollton is http://www.cityofcarrollton.com. Funerals in Carrollton, TX on Yahoo! Local Get Ratings & Reviews on Funerals with Photos, Maps, Driving Directions and more. Find BBB Accredited Funeral Services near Carrollton, TX - your guide to trusted Carrollton, TX Funeral Services, recommended and BBB Accredited businesses. We work with local florists and flower shops to offer same day delivery. You will find budget sympathy flowers in Carrollton here. Our funeral flowers are cheap in price but not in value.